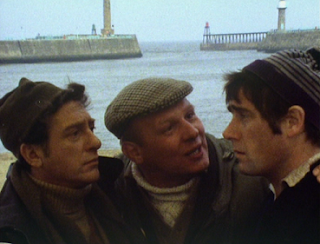 Art (Brian Glover), Ern (Ray Mort) and Abe (Douglas Livingston) have left behind their native Leeds, where they graft in the mines all week, to head to Whitby where they intend to indulge in a spot of cod fishing. 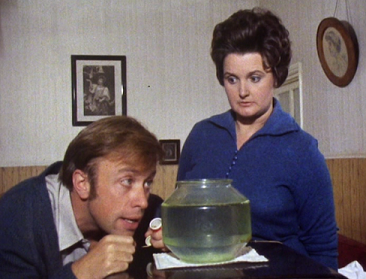 Keen to avoid the rigours of staying down by the docks, where everyone reeks of fish, our triumvirate of incredible Yorkshire accents seek digs at Audrey (Jane Freeman) and her subservient husband Brian's (Frank Moorey) hotel. Well, Audrey may claim it's a hotel, but a much more accurate description would be a bed and breakfast which, on occasion, serves an evening meal. Regardless of the accomodation's category, to the miners it's as if they've entered a new world of standards and social graces. And, at Audley's highly inflated rates of four guineas a head, it's the least they should expect. Art, who knows a thing or two about silver service, underlines the importance of showing goodwill to their hosts, so crates of brown ale are not to darken their rooms and mucking about is most certainly out of the question. Ern and Abe, despite wondering why James Bond can do what he wants, eventually agree to be on their best behaviour. After all, they've been blessed with freshly washed bedsheets. These freshly washed bedsheets, however, are far from freshly washed and pinpoint the hypocrisy of Audrey's much vaunted standards. Not wanting to disrupt the laundry bill, Audrey recycles some used bedsheets for Art, Ern and Abe. After all, they won't be able to tell the difference and they're only going to spoil them with their drunken debauchery. Brian, meanwhile, is hopeful of tagging along on the miners' fishing trip after a kind invite, but Audrey shuts this down immediately. And, upon learning that they're willing to lend Brian a fishing rod, her suspicious heighten immediately and she almost trembles at the thought of how they can afford such follies. 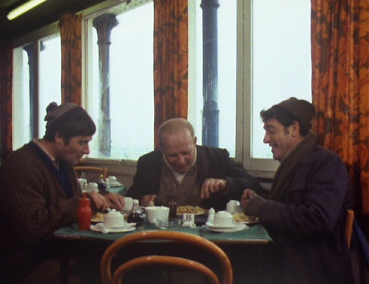 Art, Ern and Abe, however, aren't here to spend all day basking in the grandeur of Audrey's abode, so they head out for a pre-fishing meal of fish and chips which Art claims will grease their stomach and prevent seasickness. Climbing aboard their fishing boat for the evening, the fishermen have nothing but hope in their hearts and a crate of brown ale in their hands. The motion of the cold, unforgiving North Sea, however, doesn't exactly make a good bedfellow for a belly full of brown ale, no matter how well it's greased. 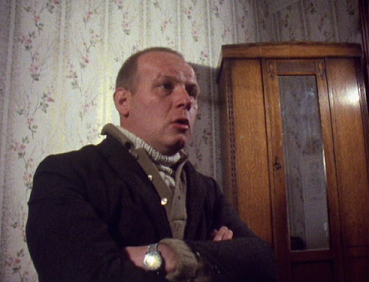 Although I've worked my way through plenty of editions of Play for Today over the last few years, The Fishing Party, was a new one on me, but with the presence of Brian Glover I could hardly resist sitting down with it. Fiercely working class and blessed with a Yorkshire accent infused with all the authenticity of a pint of warm ale in a working man's club, Glover's reputation is ingrained into the heart of anyone who's ever claimed to know a thing or two about British culture. Art's character plays to all of Glover's strengths and weaves together a personality that is all honesty and blissful optimism. The smartest move on Peter Terson's part is to set him opposite the biting, unfounded judgements of Audrey. Best known as Ivy from Last of the Summer Wine (curiously, her husband from that series John Comer has a small role in this play), Audrey is a fierce, dominating character and a matriarchal character of epic proportions. 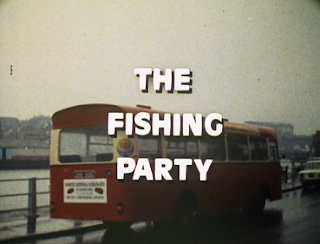 The Fishing Party is very much a narrative which looks at the contrast between Art and Audrey's outlooks on life. Consequently, the supporting characters fall to wayside somewhat with Ern and Abe acting as mere satellites for Art's insights and joie de vivre, while the henpecked Brian is reduced to a submissive stooge. Nonetheless, the cast all contribute strong performances and help to imbue the play with a buoyant feel which never finds time to drag the viewer down into thumb twiddling mundanity. And it's the myriad small details which truly strengthen The Fishing Party's appeal. In one scene, Art reveals to Ern and Abe that the humble mussel is a highly powerful aphrodisiac which can set a man off. However, after much discussion, it's decided upon that only mussels and water (or lemonade at a push) will set you off and alcohol will only dull the impact. It's almost as if Peter Terson is simultaneously channeling Alan Bennett and Quentin Tarantino to deliver characters that are so intensely real that there's no need for HD television, this is as realistic as it gets. And, in a later scene which is farce at its very best, Art, Ern and Abe find themselves battling the ill effects of brown ale all in the same bed as they clutch a solitary chamberpot between them. It's hilarious and the epitome of gold plated comedy. Talking of comedy, The Fishing Party isn't much of a gagfest but, in fact, it's much stronger than that. The laughs on offer are those that come directly from the characters (in the business these are known as the very best laughs) and this is directly fuelled by the wonderful dialogue provided by Peter Terson. The chemistry between Glover, Mort and Livingston is fantastic and exchanges zip between the three of them with the authenticity of three old friends on a weekend away. 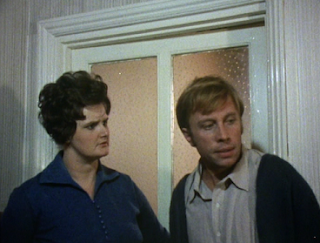 It's no surprise that these three actors appeared in two more of Terson's televisual plays (Shakespeare or Bust and Three for the Fancy). 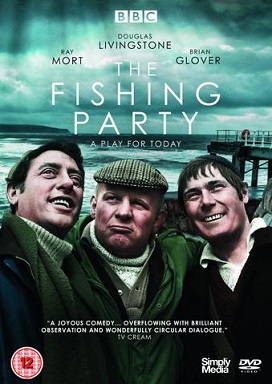 The final laugh comes, of course, in the very final scene and its charmingly surreal nature perfectly reflects the appeal of the The Fishing Party. And, better yet, it even appears to temporarily melt the heart of Audrey. All in all, it's a joyous watch and one which I heartily recommend. Ah, yes, that would have made a great little box set! I haven't seen the other two yet, but will definitely be trying to track them down.